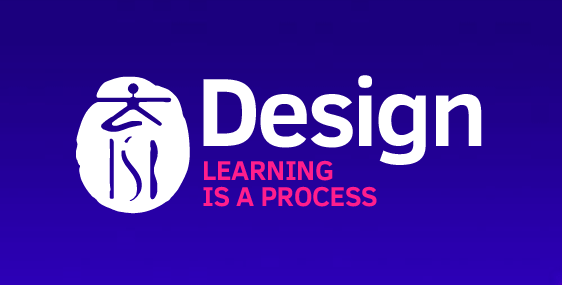 On Mac, It allows you to receive AirPlay feeds, similar to an Apple TV, so you can stream content or Mirror your display from your iOS devices or Macs (with built-in mirroring functionality) running Mountain Lion or newer. Download AirServer and run the installer. Click here to download AirServer for Mac. In the AirServer Activation window, enter your activation code. Go to ICT office for the activation code. Click Activate. AirServer is now ready to use. No window will open on your computer until you begin streaming or mirroring content to AirServer. 2. Change your Airplay display name and set password on AirServer. You will need to change your Airplay display name to make it easier to find your laptop. 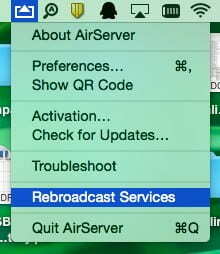 When AirServer is running on your computer, it will be listed on all iOS devices connected to the same network. Anyone who can see your computer will be able to stream to AirServer unless you enable your password settings. Click the AirServer icon on the menu bar of your screen, choose Preferences from the drop menu. In the “General” tab enter a new computer name. Select “Fixed Password”. Enter a password of your choosing. Anyone who tries to connect to AirServer would be prompted to enter the password. Without the correct password, they will not be able to stream or mirror to AirServer. First, make sure that your iOS device and your computer running AirServer are on the same network. Try turning off the WiFi on your iOS device for 5 seconds and then turn it back on. ​If this does not fix the issue try powering off your iOS device, wait for 5 seconds and then turn it back on. This is a common iOS issue and it is always good to restart your iOS device regularly. If your computer uses WiFi, make sure that it is receiving good WiFi signal. Alternatively try connecting your computer to the network using an ethernet cable. Make sure that your iOS device shows at-least 2 out of 3 bars of WiFi signal strength. If you are using non-Apple bluetooth devices with your computer, they could be interfering with the Wireless connection and causing lags. Try turning off all bluetooth devices that aren’t from Apple. Try changing the mirroring optimization (under the mirroring tab) to 720p and mirror again. 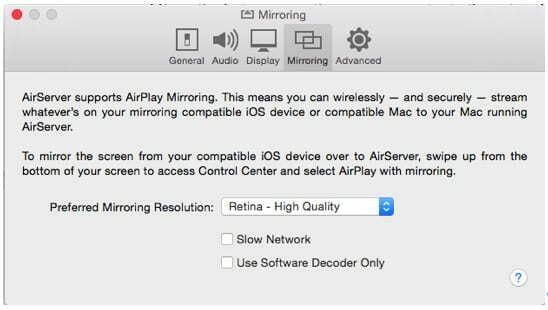 If AirServer is projecting on a display which is 1080p (or larger), and mirroring optimization is set for “Any Device – Recommended,” then AirServer will automatically negotiate 1080p mirroring resolution which looks very sharp but may cause slowness on sub-optimal networks. For even better performance, but lower quality, select the “slow network” option under the mirroring tab. Then mirror again. This will lower the mirroring quality but lower the network usage by up to 4 times.